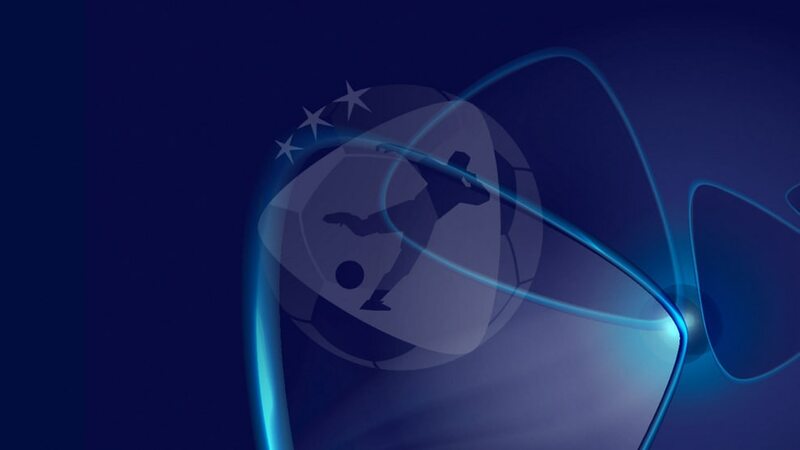 Download the 2013 UEFA European U21 Championship tournament review, including technical report analysis and details of the behind the scenes work which ensured the finals' success. The 2013 UEFA European Under-21 Championship tournament review is now available, documenting in detail Spain's triumphant defence of their title in the technical report, as well as the organisational, commercial and marketing components that ensured the Israeli event's success. It was the first time Israel had held such a major tournament and the high expectations were met on and off the pitch. The hosts may have bowed out in the group stage, but not before recording a historic first final-round victory against England. Star quality, meanwhile, was provided by, among others, the irrepressible Thiago Alcántara, who was named man of the match for the second final in succession after hitting a first-half hat-trick in the 4-2 victory against Italy. The Israel 2013 tournament review comprises the technical report and the event report, bringing together analysis of the football with an overview of all the work behind the scenes that combined to produce a competition of such high quality. "The 2013 UEFA European Under-21 Championship final tournament was a memorable event that left us with many reasons for satisfaction – from the fantastic organisation by the host country, Israel, to the spectacular, attacking football produced by the competing teams," UEFA President Michel Platini says. " The excellent young players who took part in Israel are certain to become the stars of tomorrow, and judging by what I saw, the future of European football is in very safe hands ." The technical report presents a permanent record of the 15 games played during the finals. As well as giving the key statistics from the tournament, it also offers reflections and analyses of the football seen in Israel and debating points arising from the competition. In the event report, meanwhile, the focus is put on the host cities Jerusalem, Netanya, Petah Tikva and Tel Aviv and the groundswell of support for the tournament, evident in particular in the high attendance figures at matches. The report also highlights the commercial programme and its sponsors, reveals the impressive television viewing figures that emphasise the popularity of the event worldwide, and examines the promotional work that guaranteed the tournament had caught the imagination of the Israeli public long before a ball had been kicked. Download your copy here in English, French or German. UEFA's technical team has named 11 players from champions Spain, including tournament MVP Thiago Alcántara, in a 23-man all-star squad for the Under-21 finals in Israel. Influential in Spain's 2011 UEFA European Under-21 Championship success, Thiago Alcántara played an even more prominent role retaining the title two years later in Israel. Spain found the clear skies and warm welcome of Israel to their taste as they defended the U21 title in imperious fashion, winning all five games in typically stylish fashion.